Tung Choi Street is a street situated between south of Sai Yeung Choi Street and Fa Yuen Street in Mong Kok, Kowloon, Hong Kong. It is one of the most well-known street markets in Hong Kong. 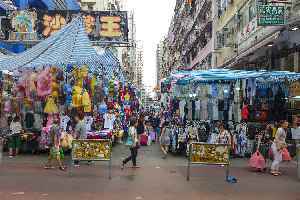 Its southern section, popularly known as Ladies' Market or Ladies' Street (女人街), sells various, low-priced products for women and also other general merchandise. Its northern section not far above Bute Street, has a wide variety of affordable plants, pet supplies and animals especially goldfish since it is also known as "Goldfish Street".